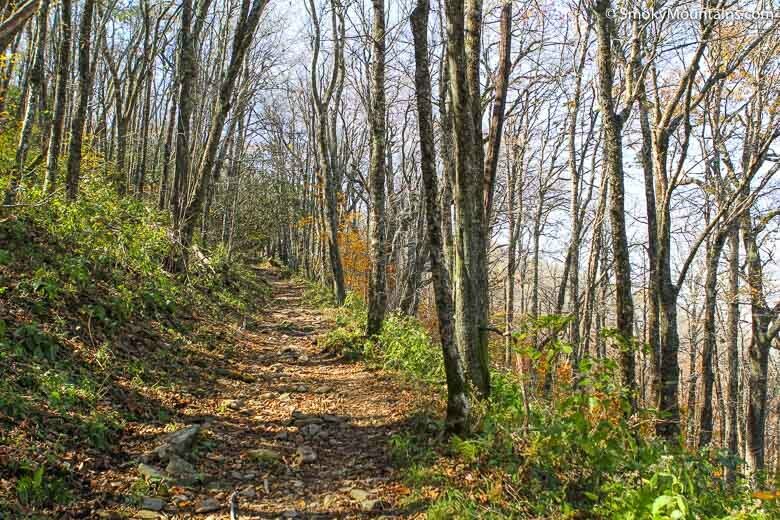 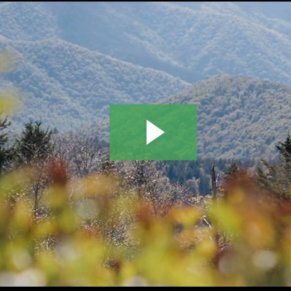 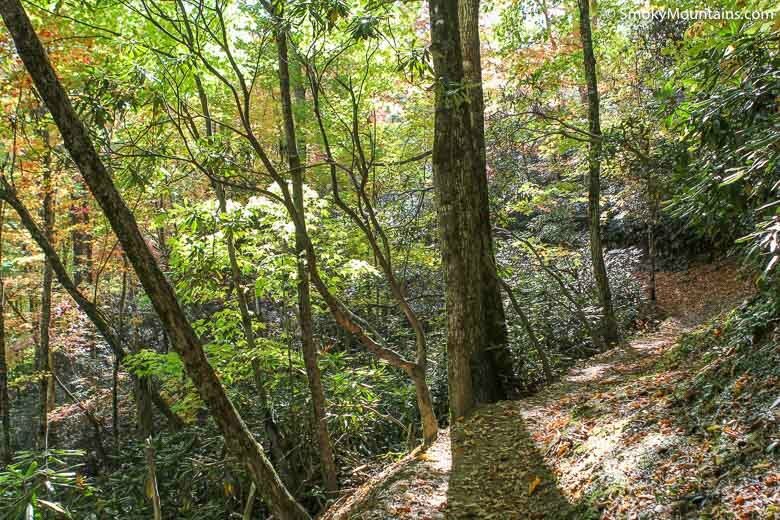 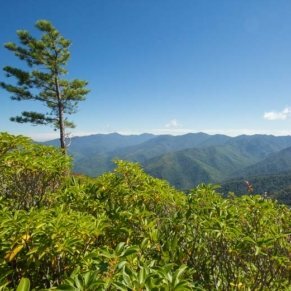 The hike to Spence Field via the Lead Cove and Bote Mountain trails makes an invigorating workout, passes through a nice variety of different Smoky Mountain ecosystems, and delivers some fine views from the ridgeline bald. 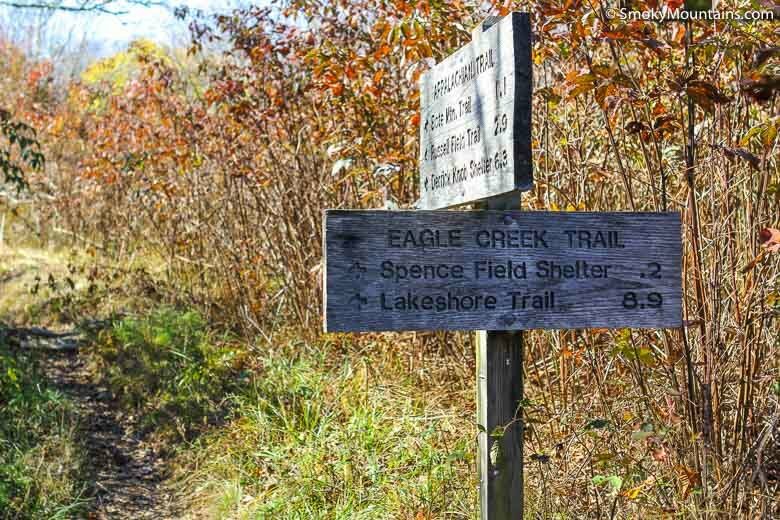 The combination of Spence Field's historical and geographical significance make this trail a worthy choice. 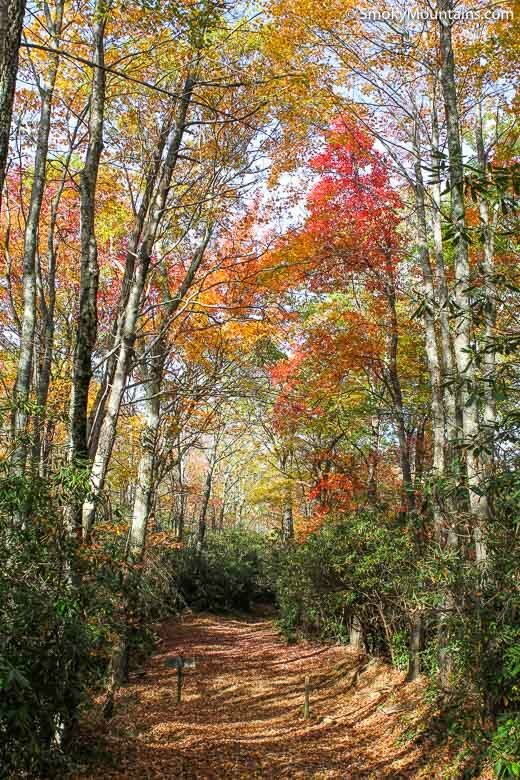 Spence Field is one of the great landmarks of the Great Smoky Mountains crest: a high-country meadowland west of Thunderhead Mountain. 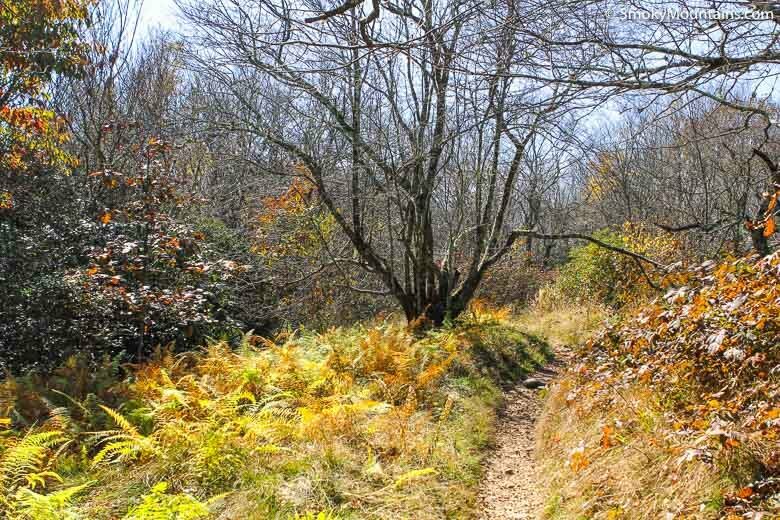 You can access this grassy bald, which is bisected by the Appalachian Trail, by a number of routes, but the most direct comes via the Lead Cove and Bote Mountain trails. 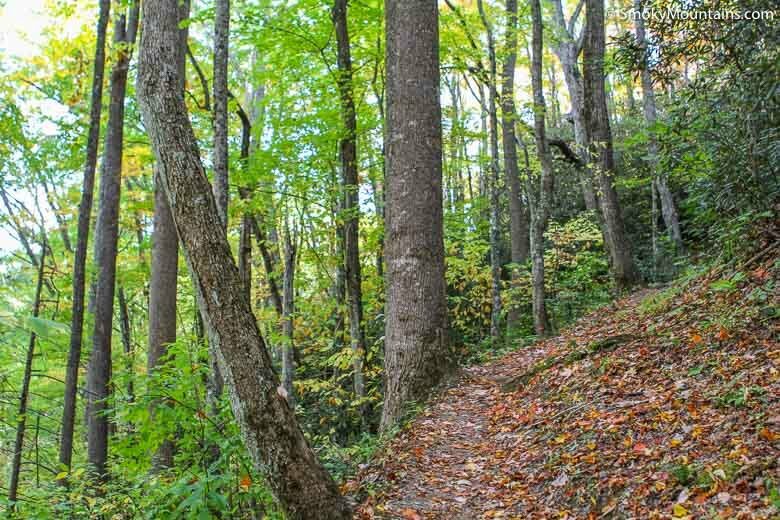 It’s a 9.4-mile round-trip undertaking that’s on the more difficult side of things, given the 3,100 feet of elevation gain. 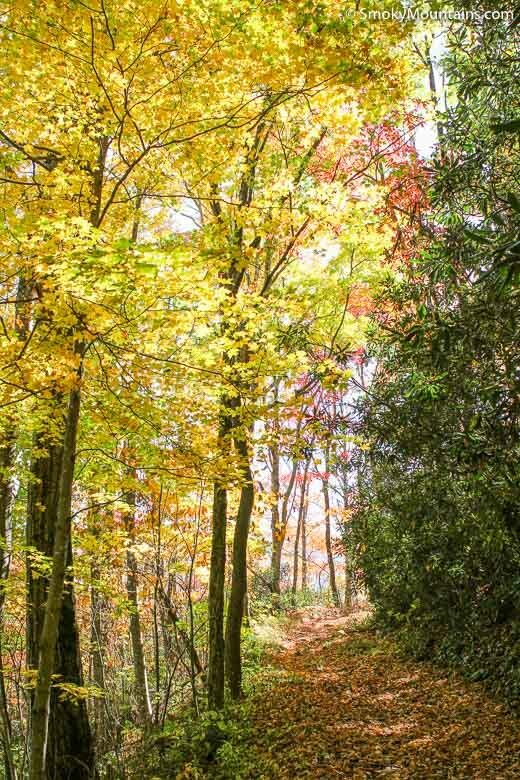 Give yourself a full day (or an overnighter) to fully appreciate the destination. 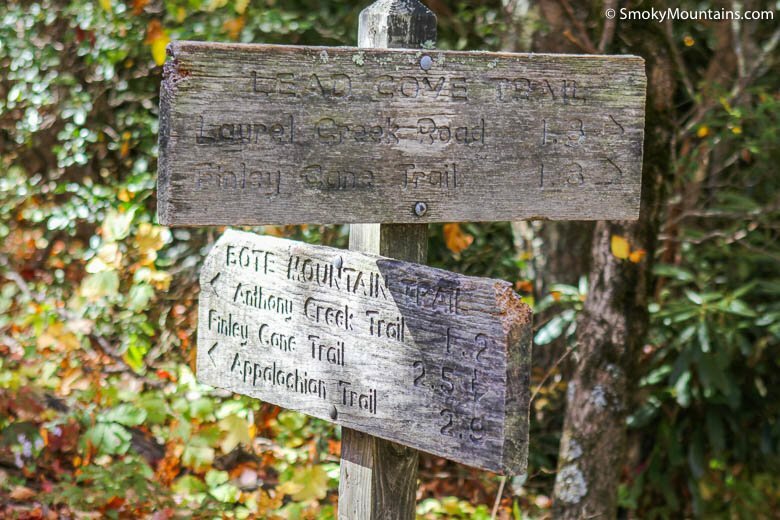 The Lead Cove Trail covers 1.8 miles between its Laurel Creek Road trailhead and the junction with the Bote Mountain Trail. 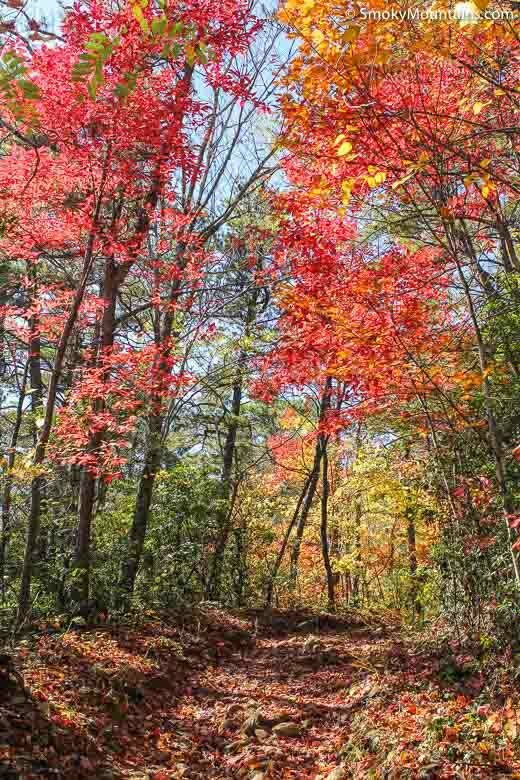 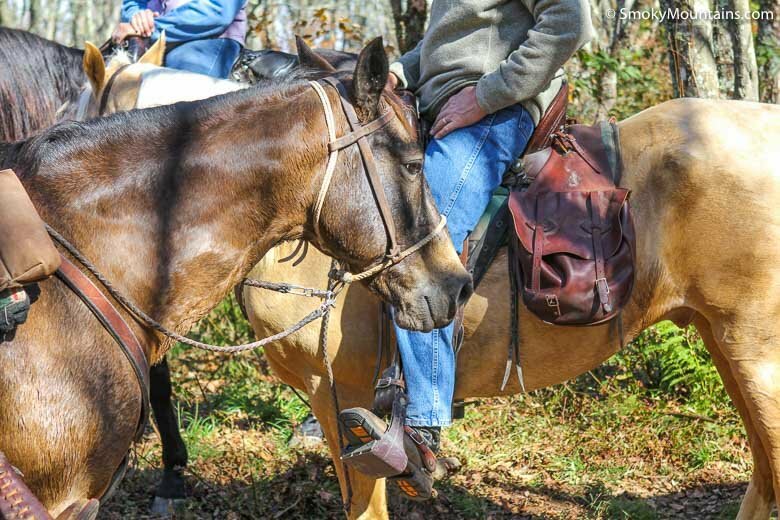 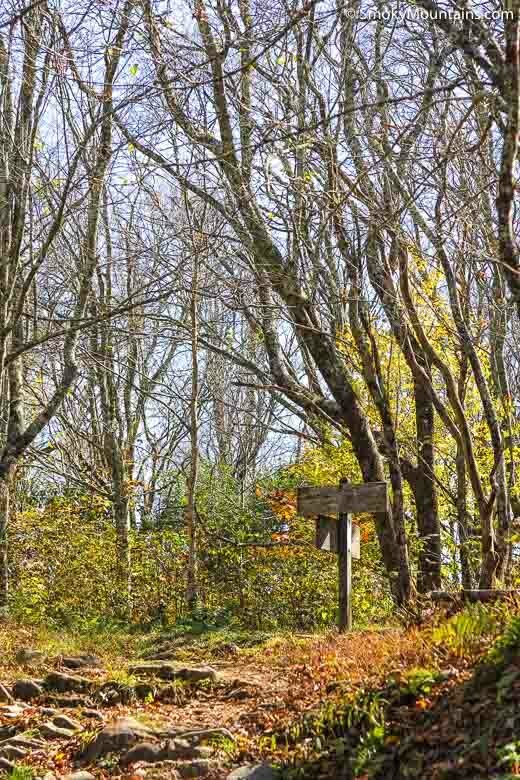 Highlights include a historic homesite, the rushing course of Sugar Cove Prong, and the all-around majesty of the cove hardwood forest at the lower elevations. 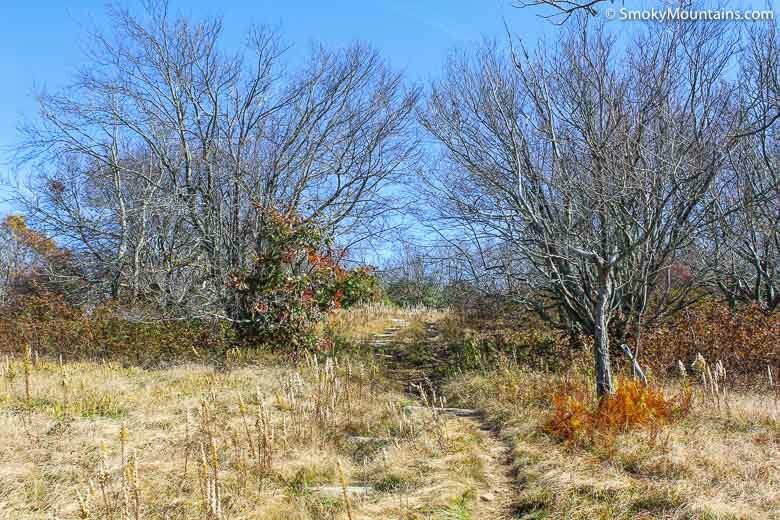 Upon leaving Sugar Cove Prong, the Lead Cove Trail sidehills over to the Laurel Cove Creek drainage, then climbs to Sandy Gap along Bote Mountain’s long ridgecrest. 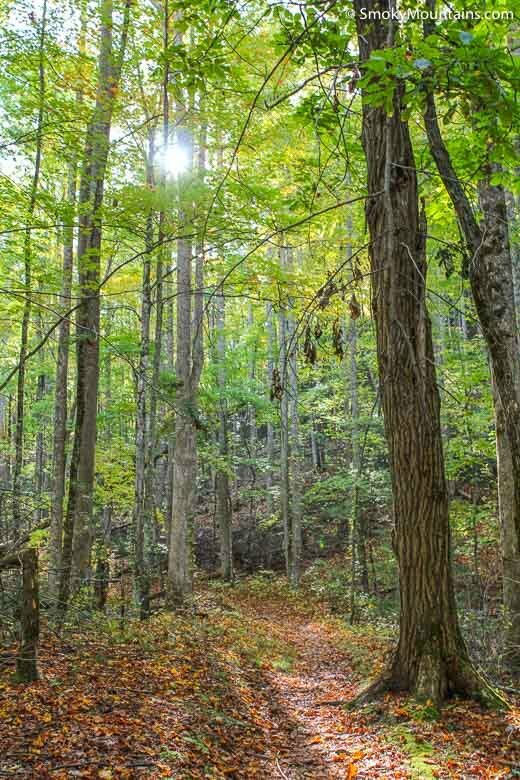 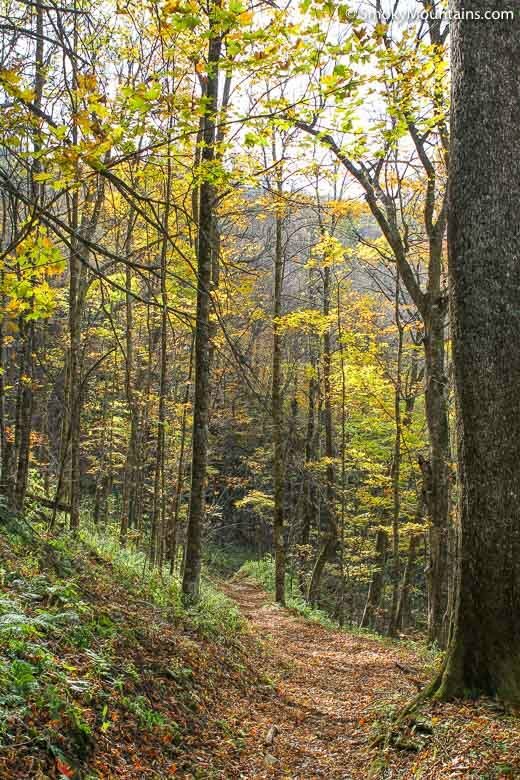 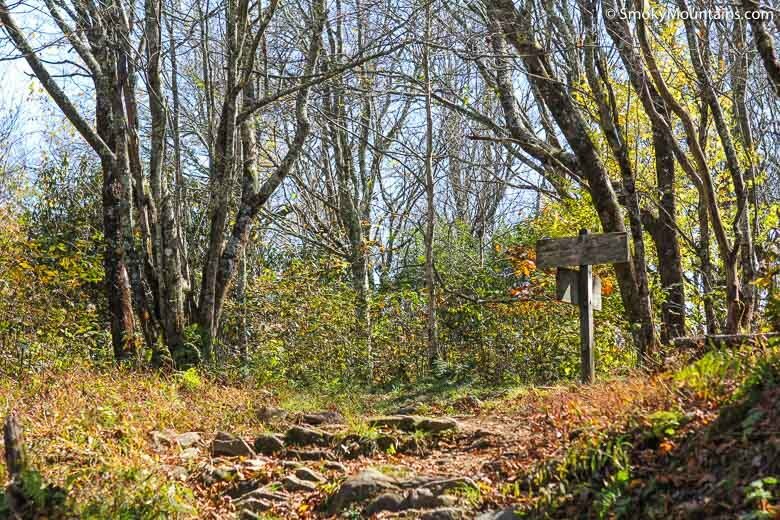 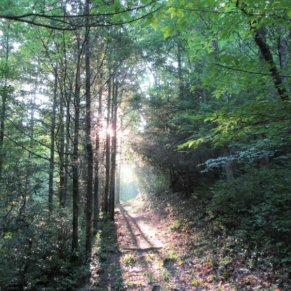 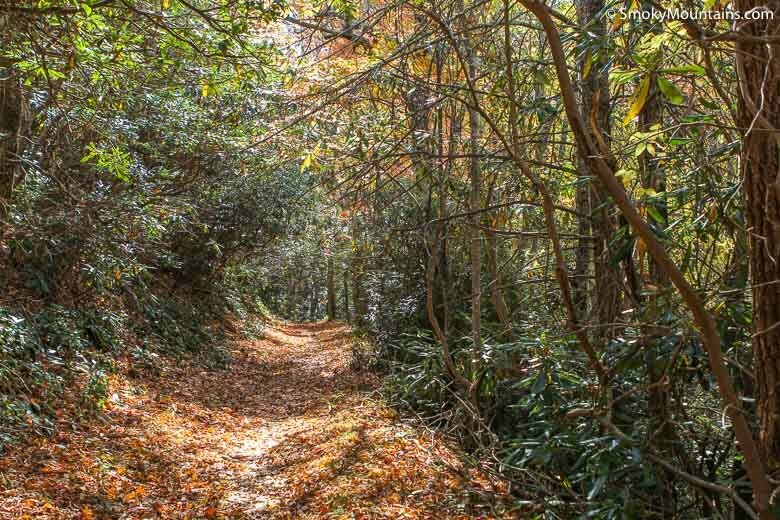 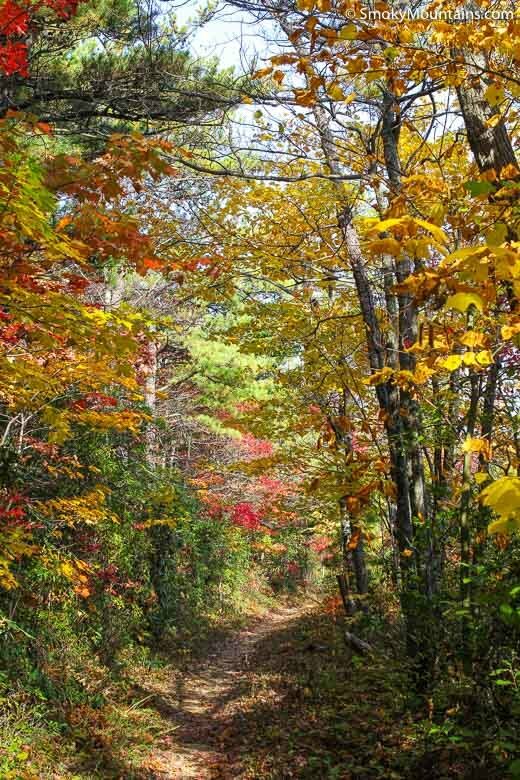 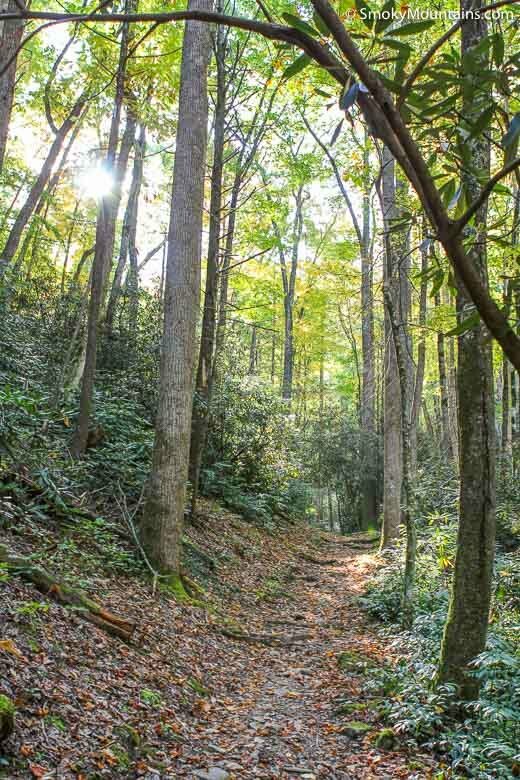 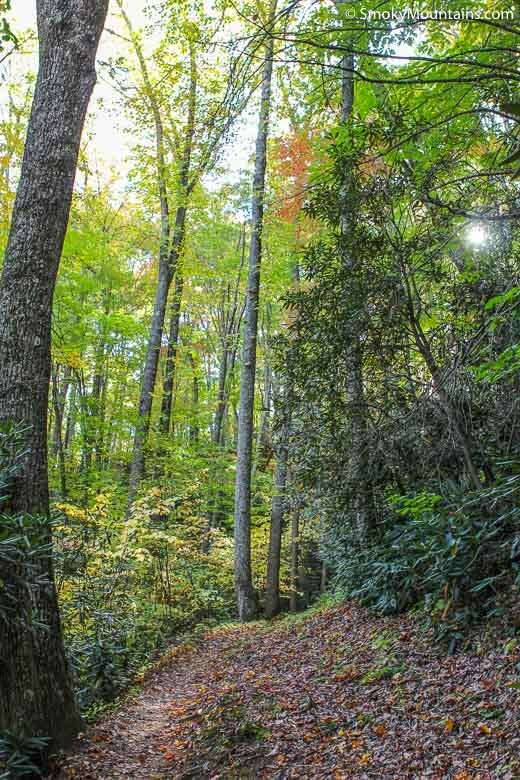 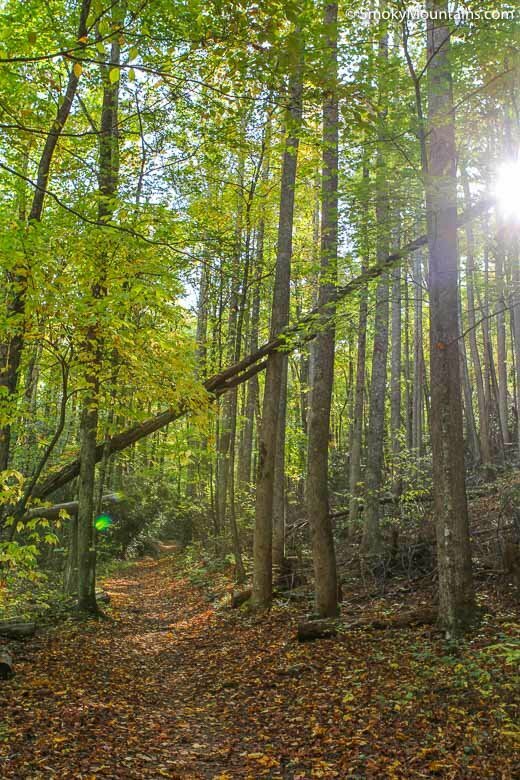 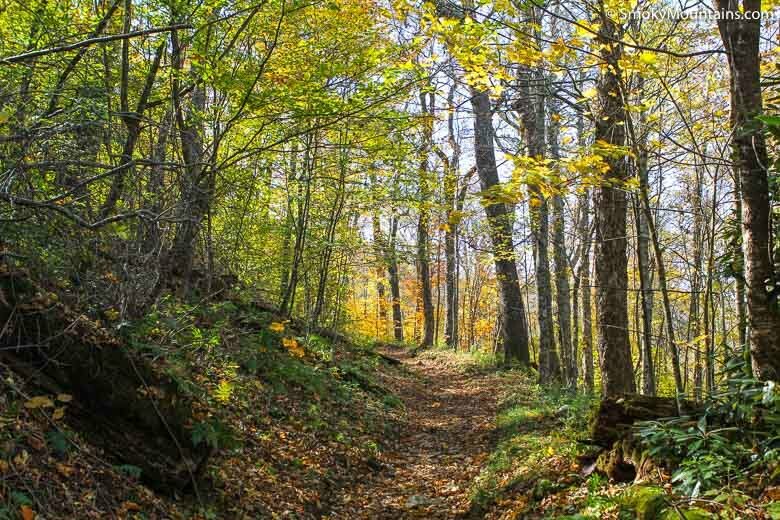 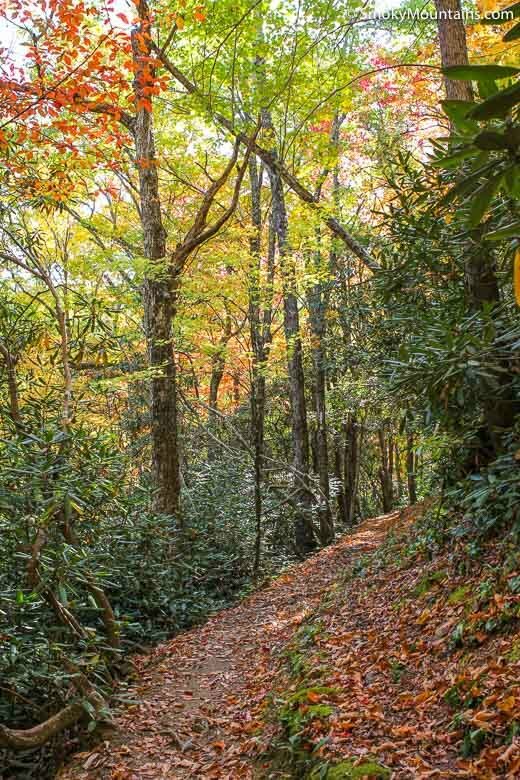 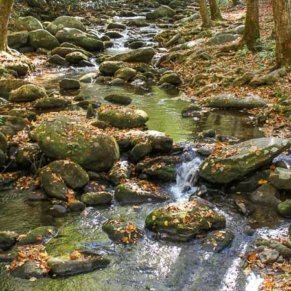 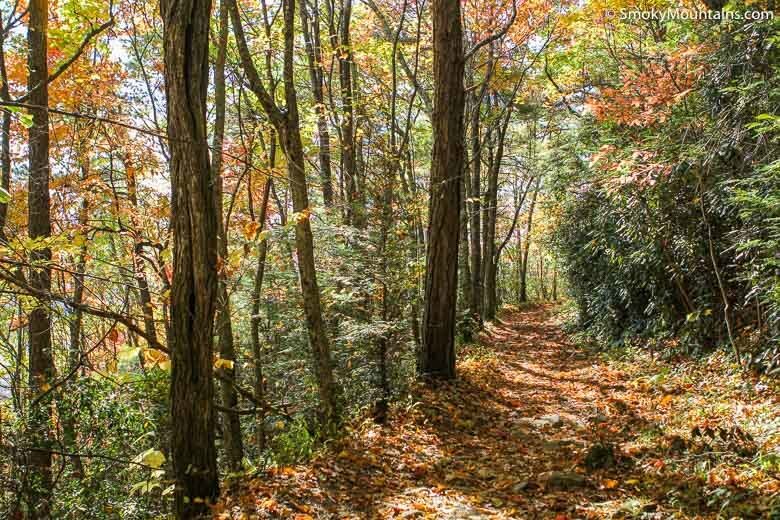 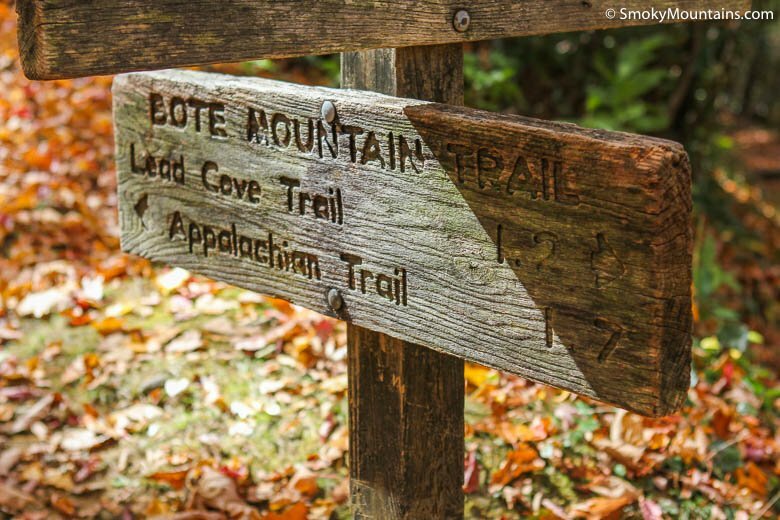 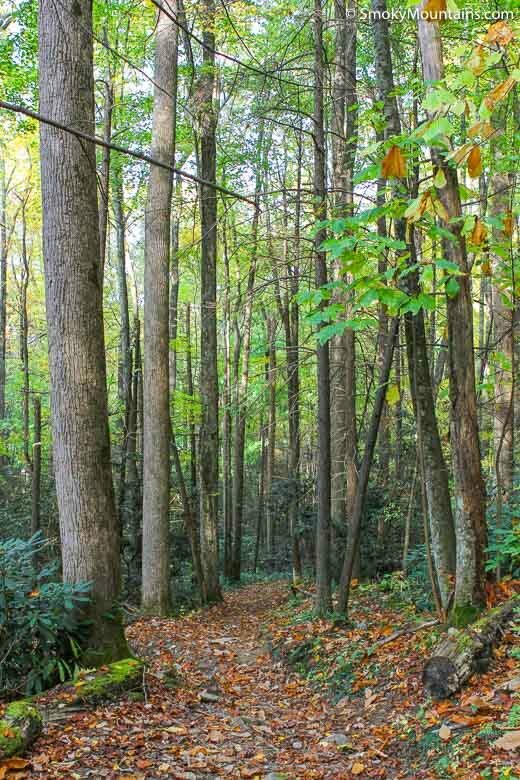 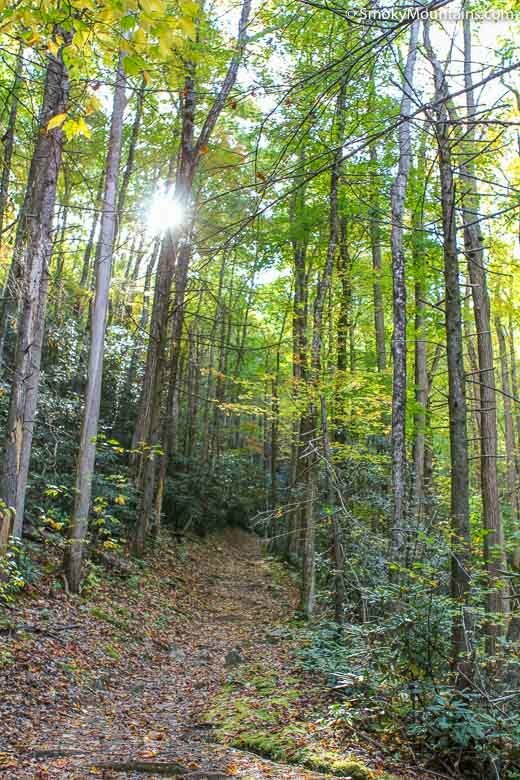 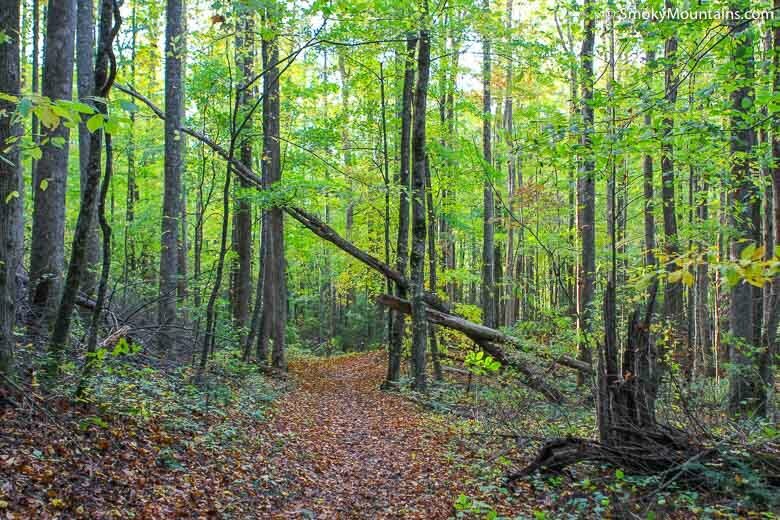 As on many paths in the Great Smokies, when you’re hiking the Bote Mountain Trail you’re tracing history. 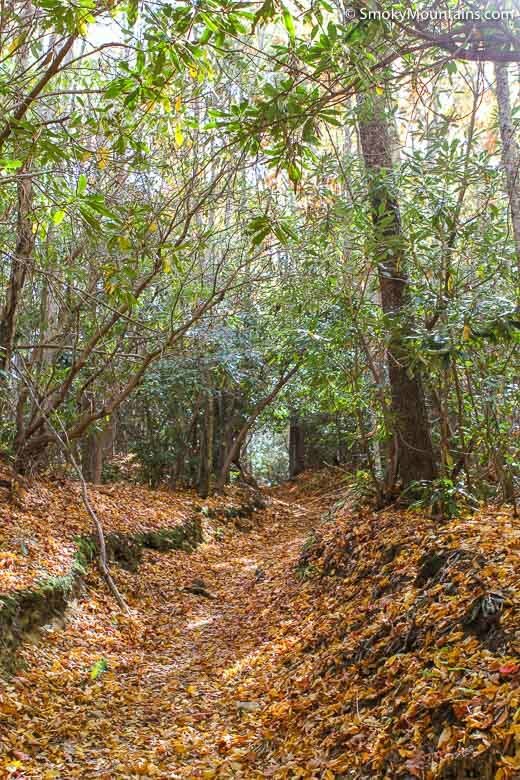 This used to be the Anderson Road, a route connecting Dry Valley and Spence Field that was schemed out in the 1830s by Reverend Isaac Anderson and built by Cherokee laborers. 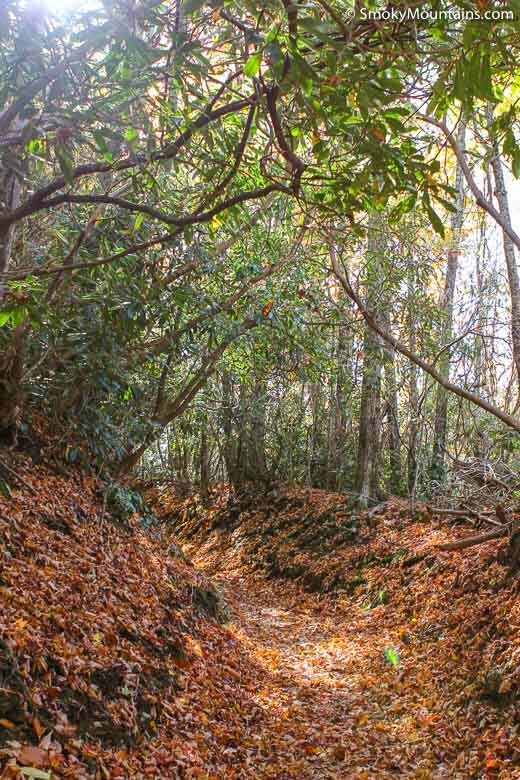 A lot of livestock “hoofed it” along this road to reach Spence Field’s summer pastures, which helps explain the deeply rutted tread. 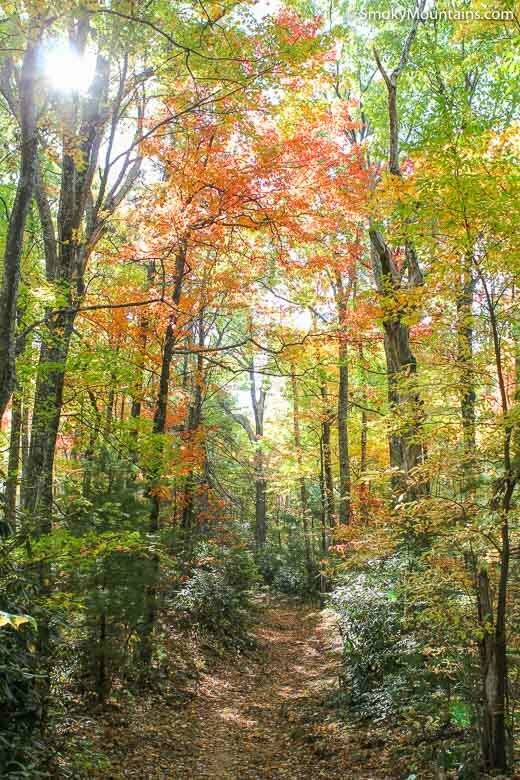 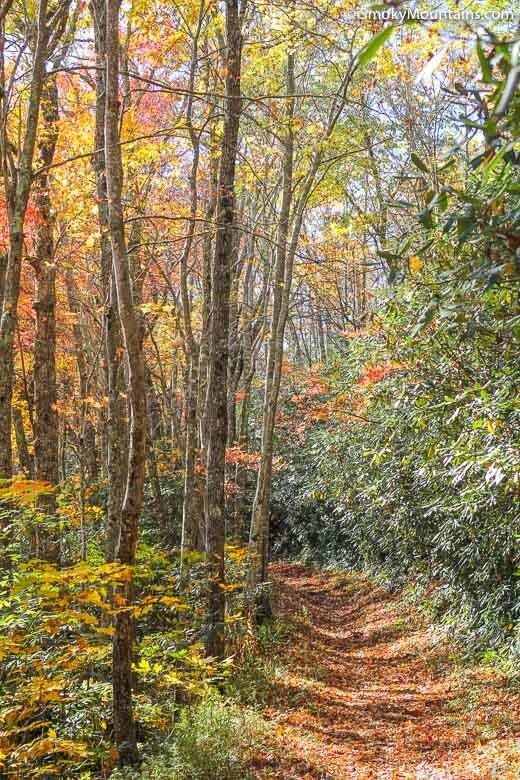 It’s a steep climb south through pine-oak woods and rhododendron tangles along Bote Mountain to the Smoky Mountain divide. 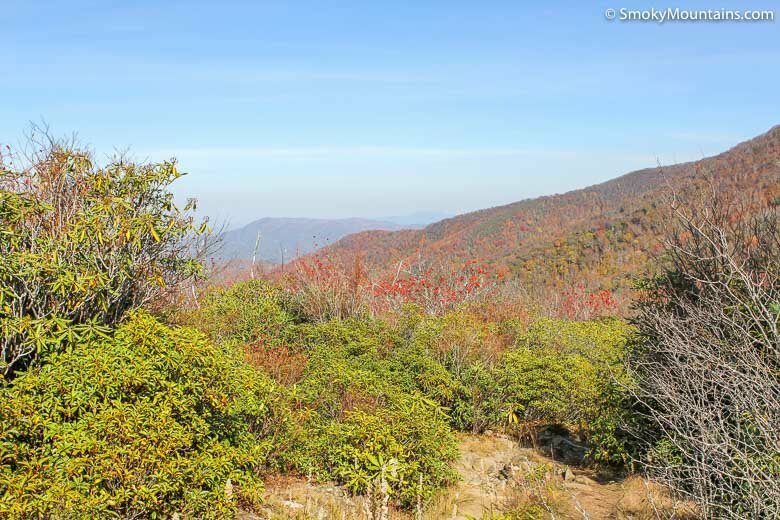 You’ll nab occasional views eastward to Defeat Ridge along the way. 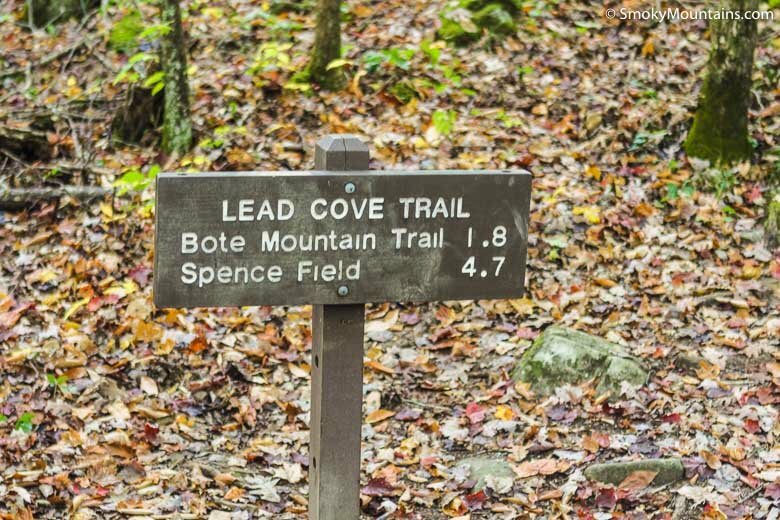 A little more than a mile beyond the Lead Cove Trail terminus, you’ll pass the junction with the Anthony Creek Trail; then it’s another 1.7 miles to Spence Field up at 4,920 feet. 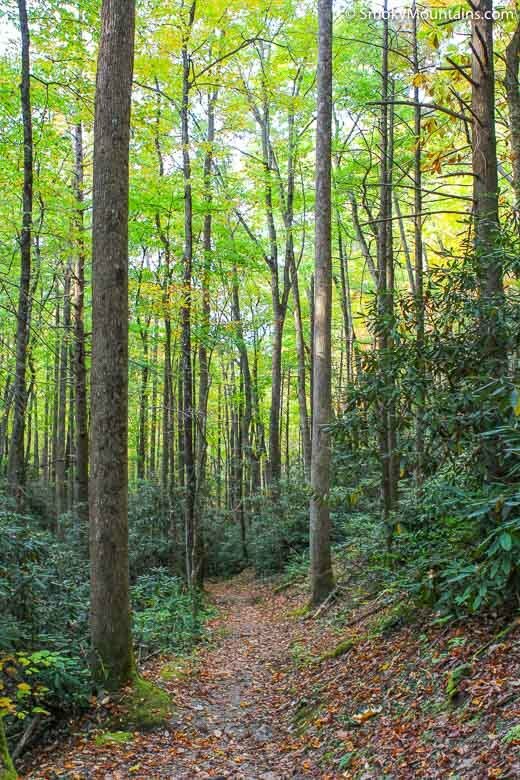 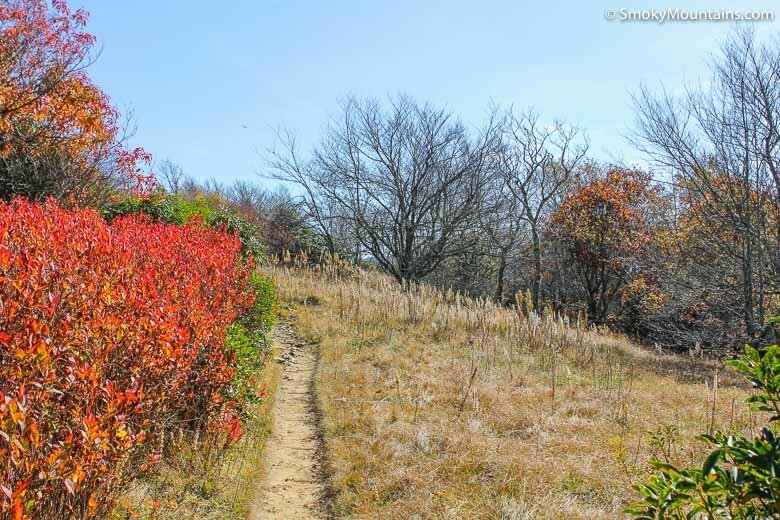 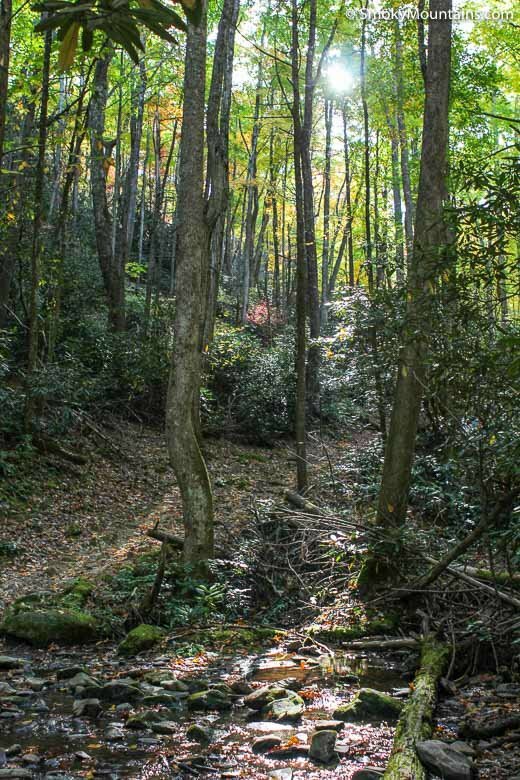 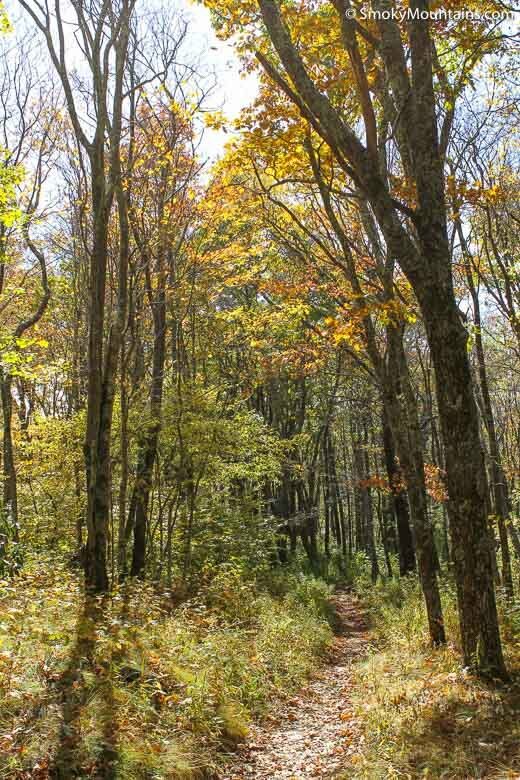 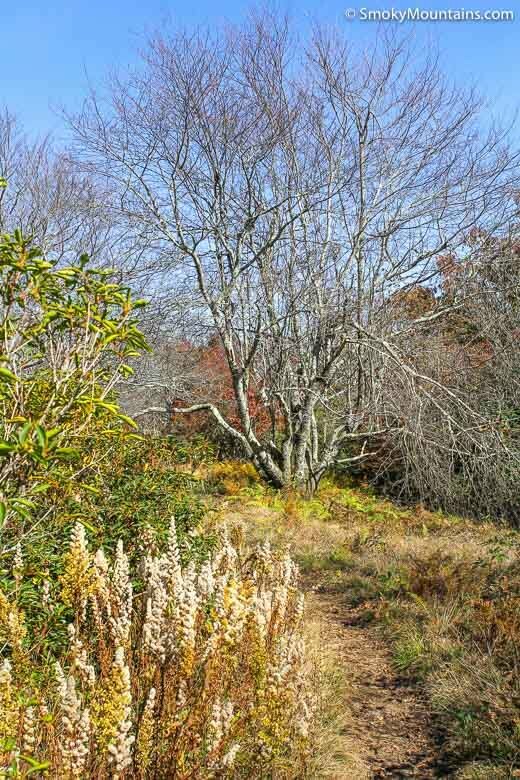 Bote Mountain Trail meets the Appalachian Trail among Spence Field’s meadows and shrublands, which include magnificent mountain laurel, azaleas, rhodies, mountain-ash, and Allegheny serviceberry. 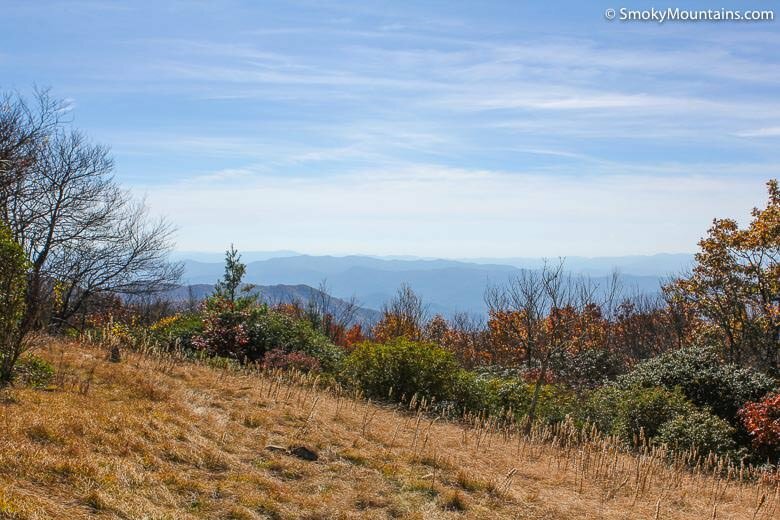 Unlike some Smoky Mountain balds, Spence Field is most likely a manmade opening created by clearing and grazing. 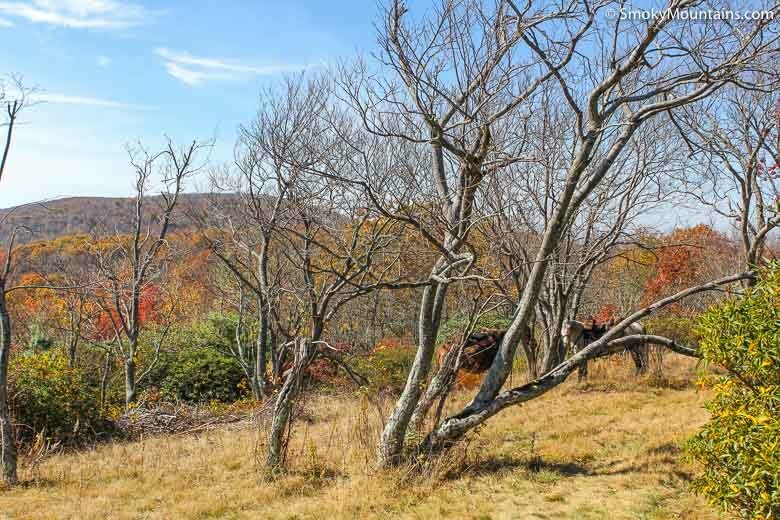 It’s getting shrubbier, so the views aren’t as expansive as they once were. 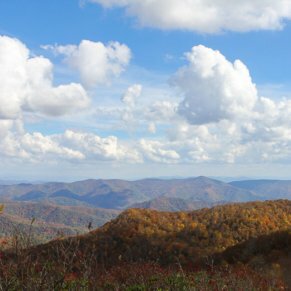 Nonetheless, you can still admire the nearby loom of Thunderhead Mountain as well as prospects down the North Carolina slope of the Smokies. 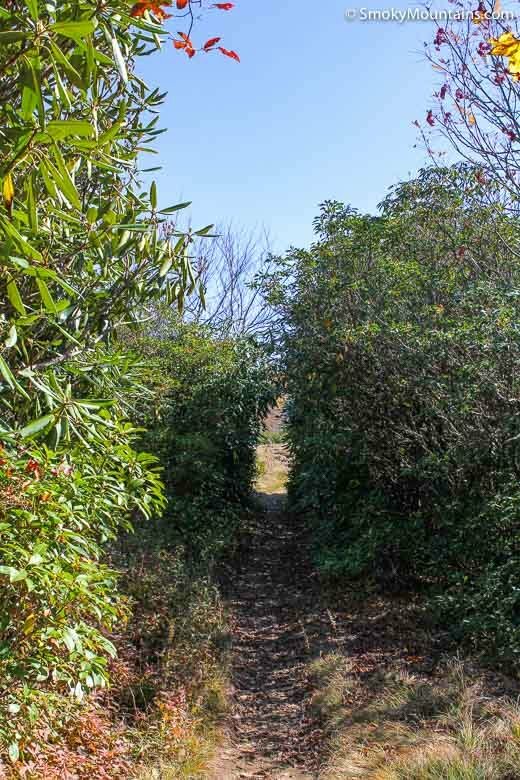 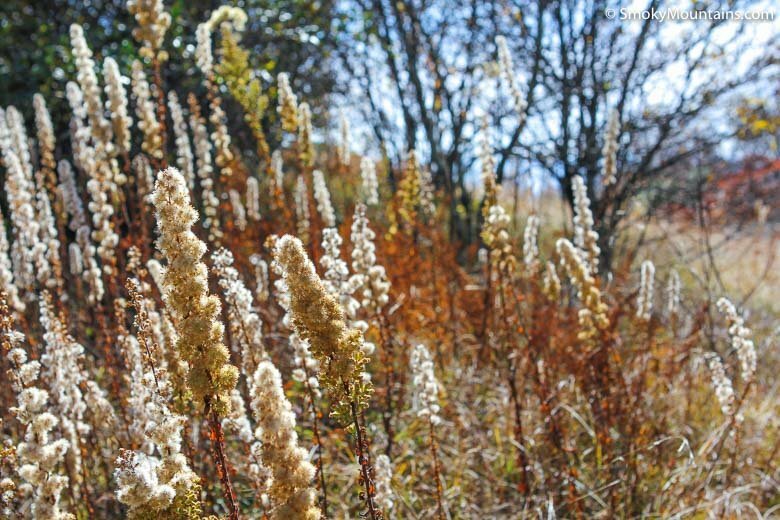 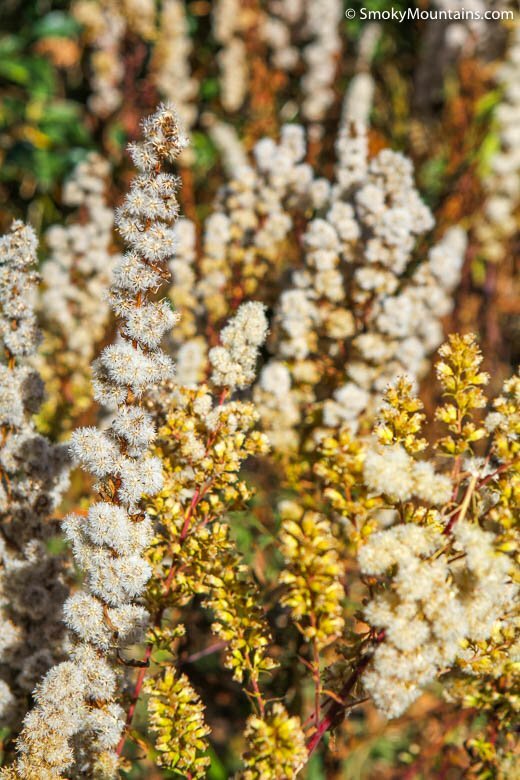 -In spring and early summer, this route to Spence Field is excellent for bloom lovers. 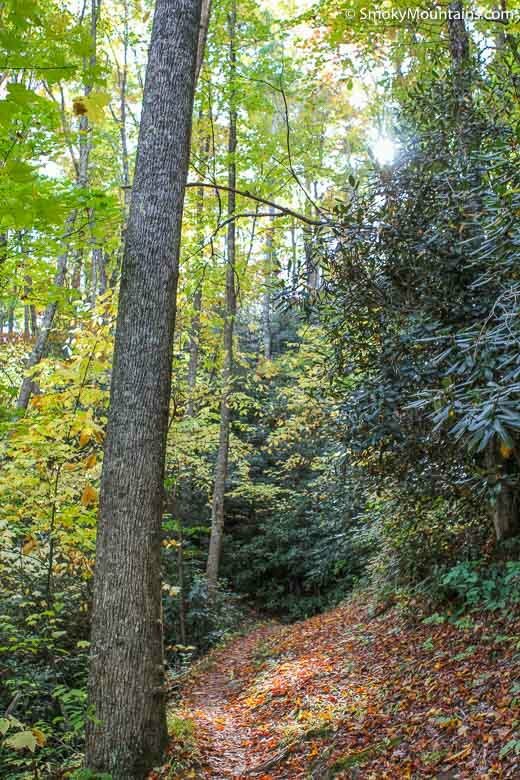 Wildflowers are plentiful in the hardwood forests along the Lead Cove Trail, while flowering mountain laurels in the Spence Field bald put on an amazing display. 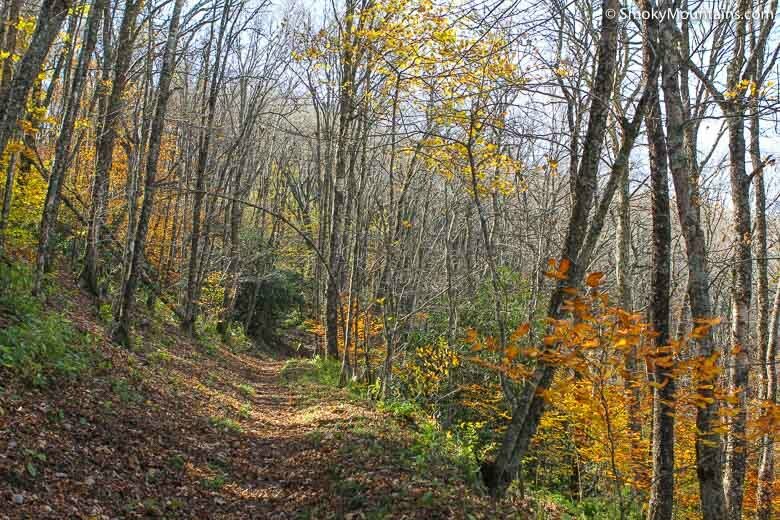 -Those longstanding ruts of the Bote Mountain Trail can be especially tiring to traverse during or after heavy rain. 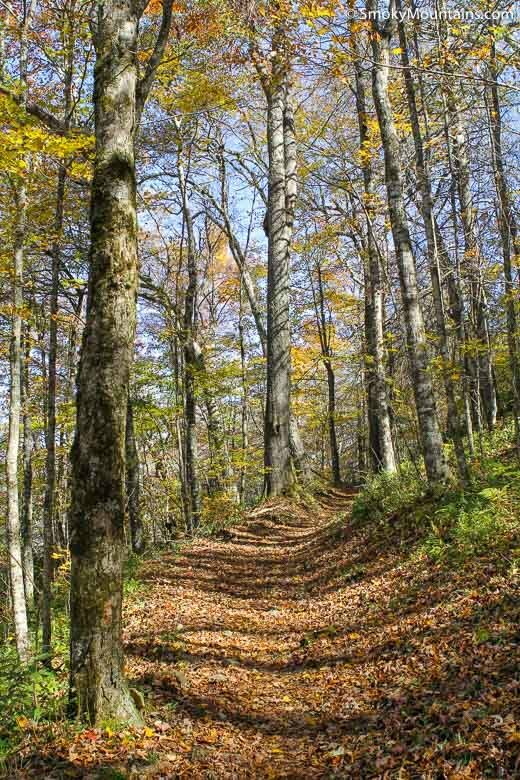 So watch your footing and expect mud. 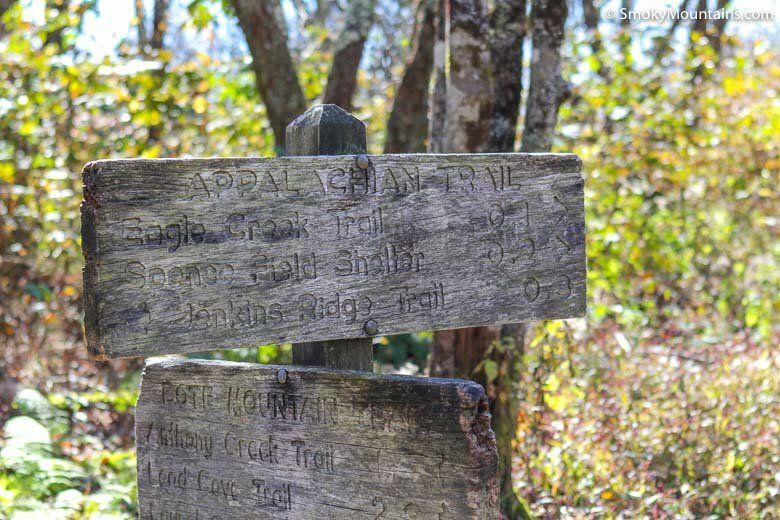 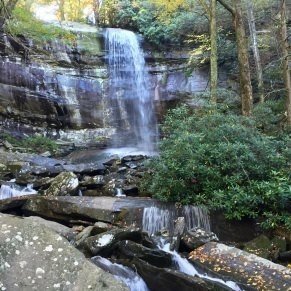 -From its Bote Mountain Trail junction, consider following the Appalachian Trail 1.2 miles east to the vantage of Rocky Top on Thunderhead Mountain: Some fantastic vistas await. 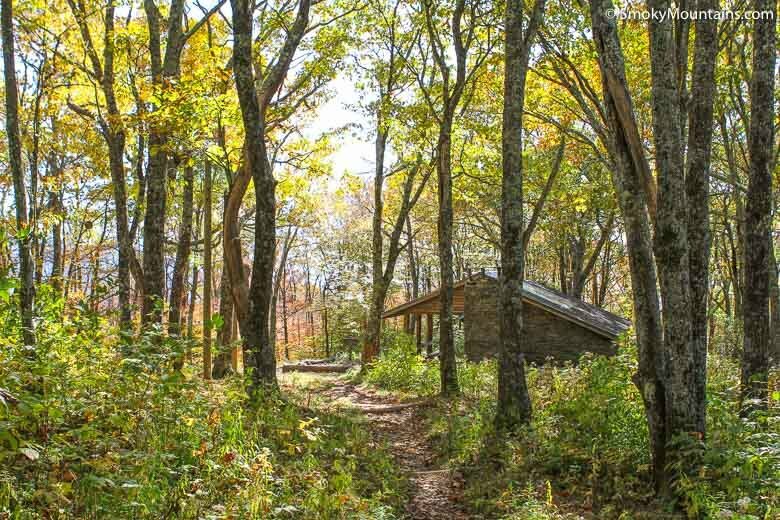 -The Spence Field Backcountry Shelter provides a very popular overnight option; make your reservations well in advance if you want to stay there. 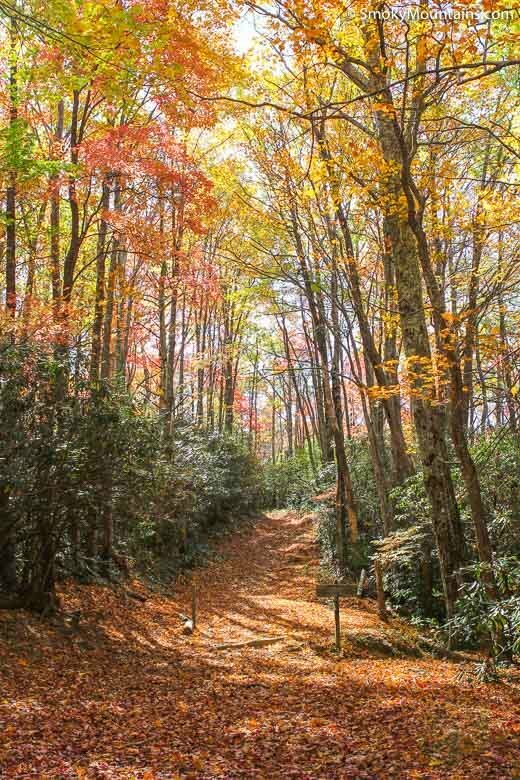 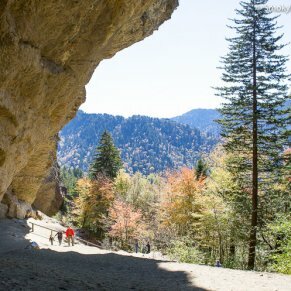 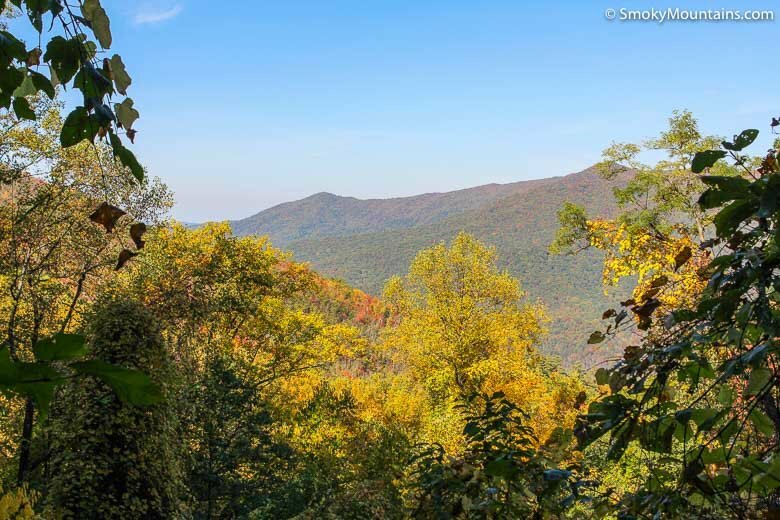 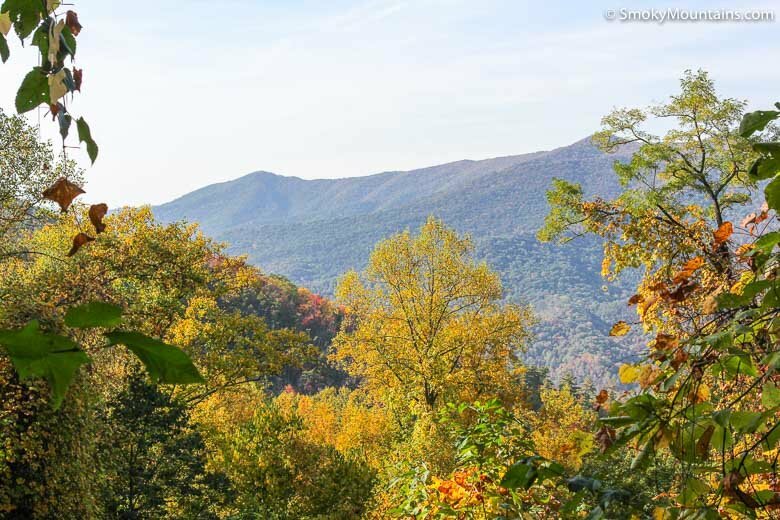 From Gatlinburg, take the Parkway to the National Park. 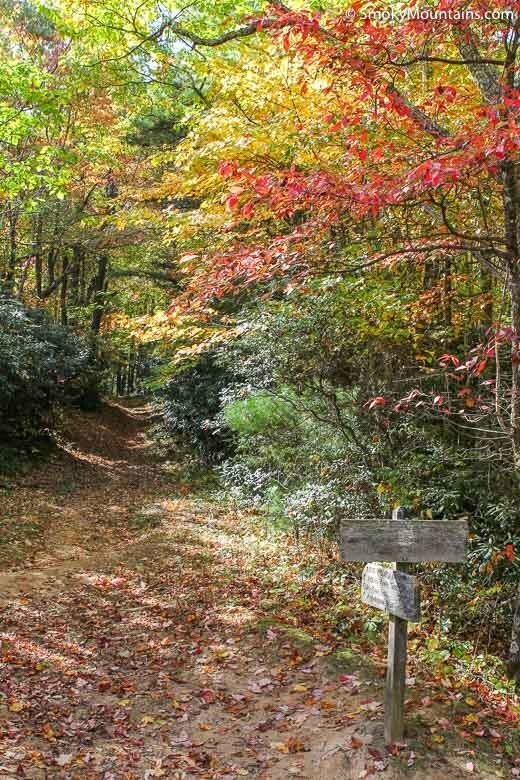 Immediately after the Sugarland Visitor Center (on your right), make a right on Little River Road. 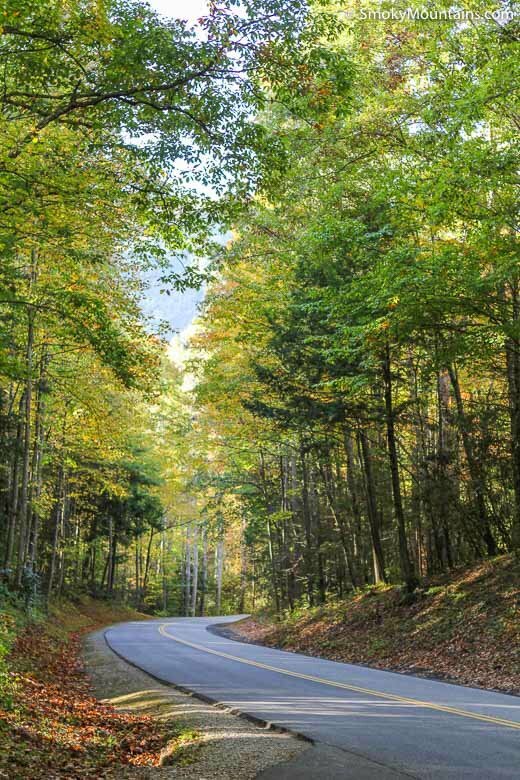 Stay on this scenic road for about 23 miles of winding, beautiful roads. 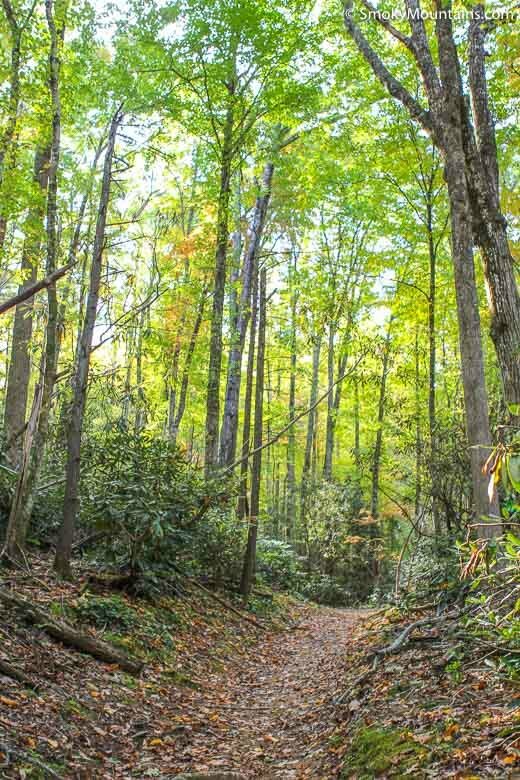 You will reach an area with parking on both sides of the street approximately 5.6 miles past the Townsend Y. 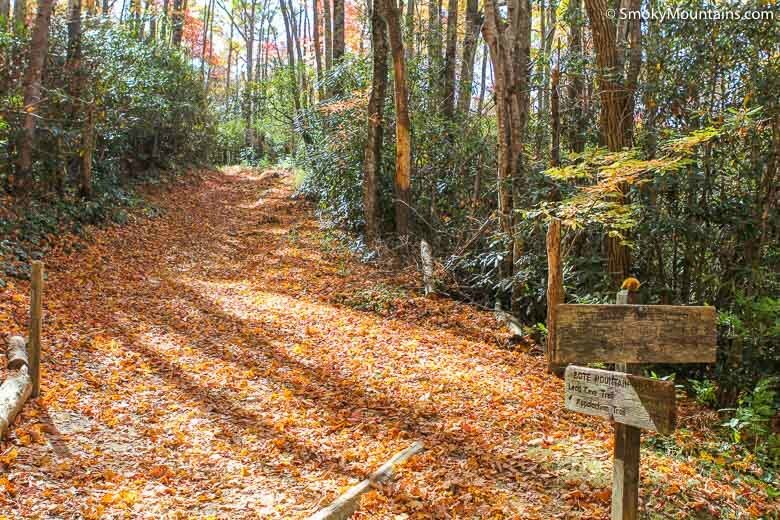 The trailhead is on the left-side of the road.